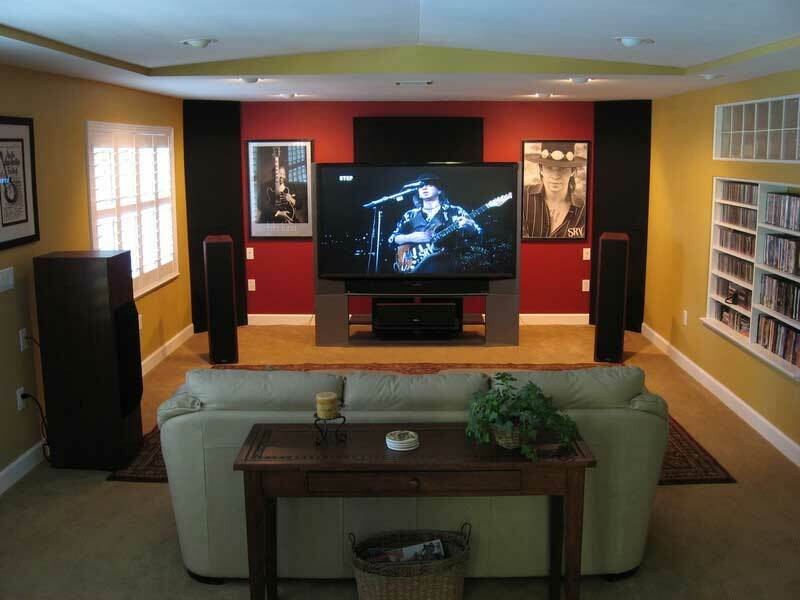 It’s always exciting for audio/video enthusiasts and novices alike when their new speakers, big flat-screen TV, A/V receiver and other components arrive at the front door, ready to be unboxed and set up for the first movie viewing and home theater experience. While flat-screen TV images—plasma, LCD or DLP—can be adjusted to run much brighter than the screens in movie theaters, you do so at the risk of “blowing out” or “torching” the whites, blacks and colors, and wrecking the picture quality that these new high-definition TVs are capable of displaying. Virtually all quality high-definition TV (HDTV) displays have a “Cinema” or movie mode that is intended to pre-set the screen brightness and contrast for viewing in a relatively dimly lit room. Check your display’s remote control or on-screen menu for a “Picture” or “Picture Mode” control and choose the least bright setting (Movie or Cinema) for your home theater setup. The bright flashy modes, sometimes labeled “Demo” or “Dynamic,” are meant for store demos in brightly lit big-box stores, where often the brightest TV picture on display attracts the most customers. These demo modes remove all nuances of shadow, blacks, gray-scale and the color palette by overdriving the pixels so detail is sacrificed to brightness. If you can’t find the picture mode adjustment, just lower the brightness and contrast settings to about half or less of the indicated range—try about 40 to 50 for brightness and contrast if the adjustment range runs from 0 to 100 like my Samsung does—which will get you close to a more realistic and pleasing picture display. Then readjust the color intensity and tint settings of your home theater setup for a natural picture and normal skin tone. Another impediment to clear movie dialog is poor placement of your AV system’s center channel speaker. Positioning the center too close to the floor or “burying” the speaker too far back on an entertainment-center shelf will encourage reflections that inhibit dialog clarity. 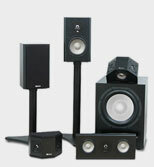 The center speaker should be as close as possible to the screen of your display, immediately above or below it and angled up or down towards the seating area. 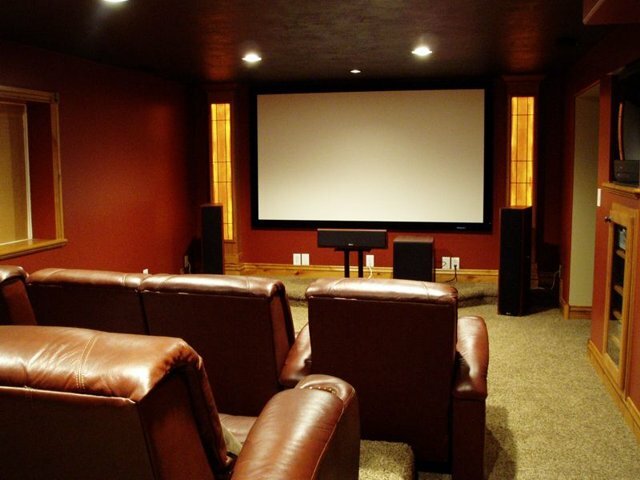 Keep the center within 24 inches or less of the screen if at all possible; it should “lock” the actors dialog on-screen so your eyes, ears and brain invisibly blend the aural and visual images from your home theater setup. 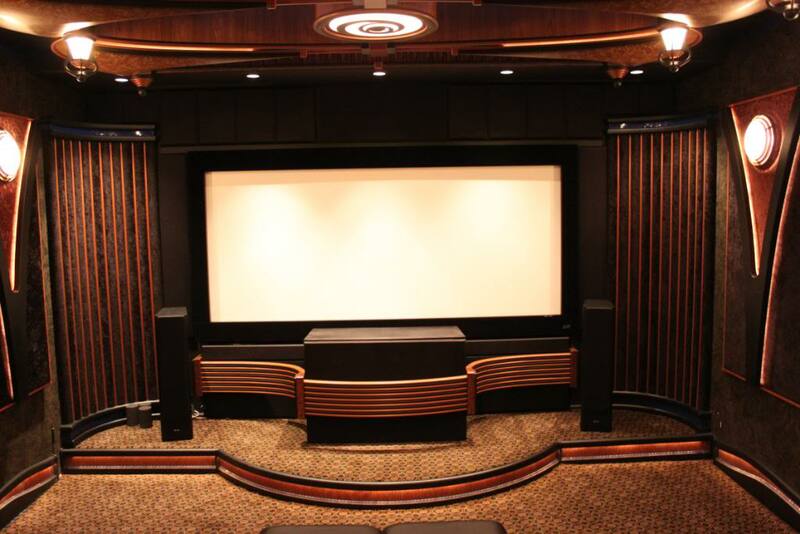 The goal of a great surround setup is a feeling of total envelopment in ambient sound—rain, wind, war, and weather sounds, auditorium and concert-hall reflections in classical or concert music, bullet ricochets, jungle sounds and so on. 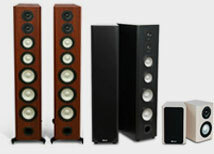 While the compact “bookshelf” speaker has made enjoyable 5.1-channel home theater possible in a variety of living rooms and dedicated home theaters, really tiny satellite cube speakers (or worse, a “sound bar” or Home Theater in a Box) were never intended to fill a huge great room or big home theater with the impact we get from a home theater setup with larger floor-standing speakers and subwoofers. 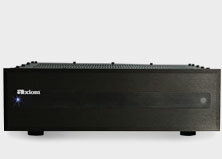 Good subwoofers (with a few exceptions) by nature tend to have greater internal volume and larger drivers, plus very powerful dedicated amplifiers of 300 watts or more. That combination of internal volume, a big driver and large amplifier is unbeatable in reproducing frequencies of movie special effects—earthquakes, pod footsteps (“War of The Worlds”), spaceship sounds and explosions—as well as delivering deep bass drum and concert tympani in classical soundtracks. 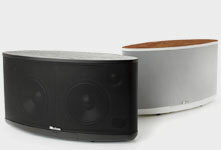 The amount of deep bass impact you get from your subwoofer is highly dependent on its interaction and location within your particular room as well as where it’s placed relative to your seating area’s location. The sub does NOT have to go at the front of the room with the front speakers in your home theater setup because deep bass by nature below 80 Hz is non-directional (your other speakers will supply the “directional” upper bass impulses). This all seems to me like good solid advice, except perhaps for "2. Hard to Understand Movie Dialogue.". Turning up the volume of the center channel speaker or repositioning it never seemed to work for me (nor did turning on my receiver's dialog enhancement feature). What did work, after several years' experimentation, was buying a better center channel speaker -- for me, that was an Axiom M2i, some time back. Then, in another room, I've used a JBL EC25 and an Axiom VP150, which also worked well. I guess it's the good off-axis frequency characteristics that have helped most for understandable dialog, in my rooms.